You perform services for your customers on a regular basis and need to charge a payment for said services. 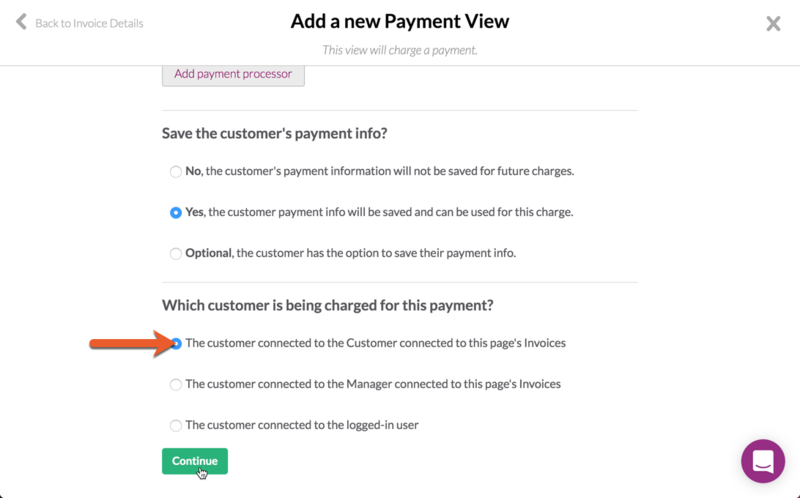 You want to store the customer’s payment information so you or the customer can charge a payment at any time without needing to re-enter their payment details. 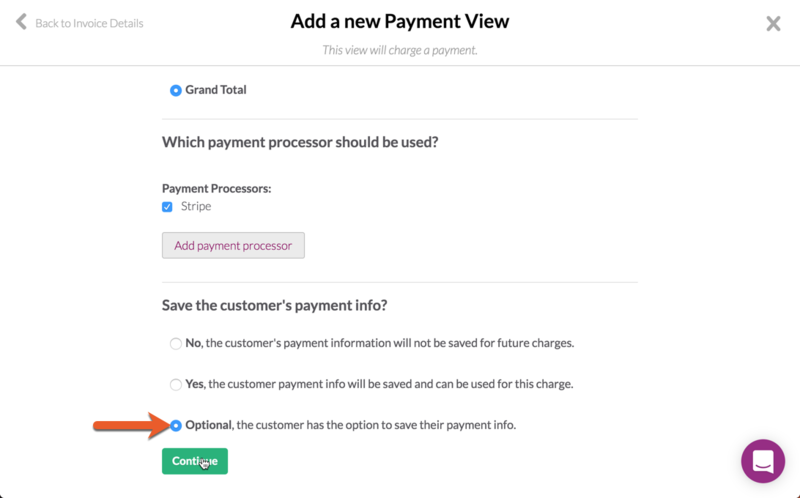 This is a continuation of our How To Save a User's Payment Method guide, so you will need to follow that guide first. 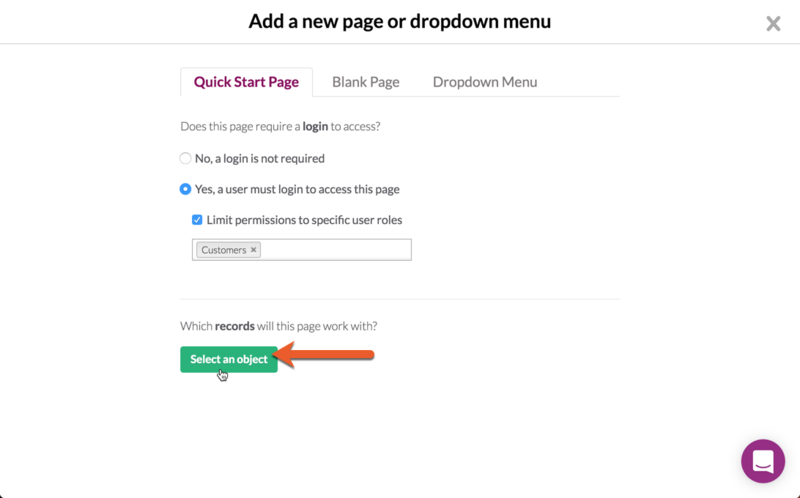 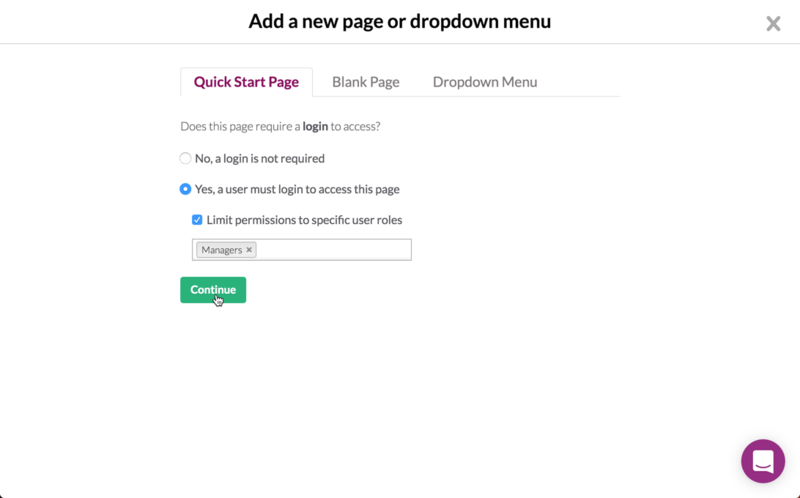 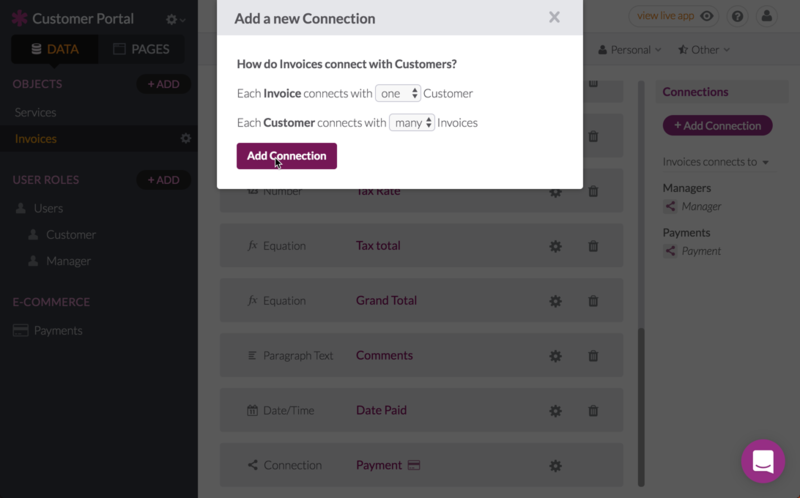 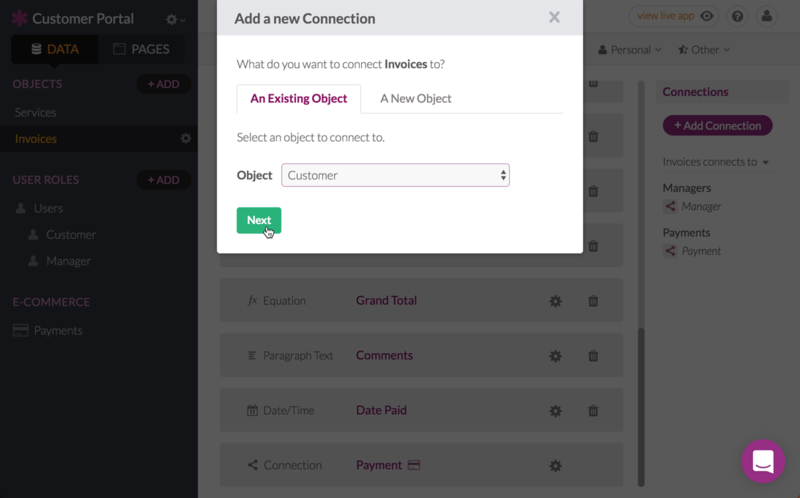 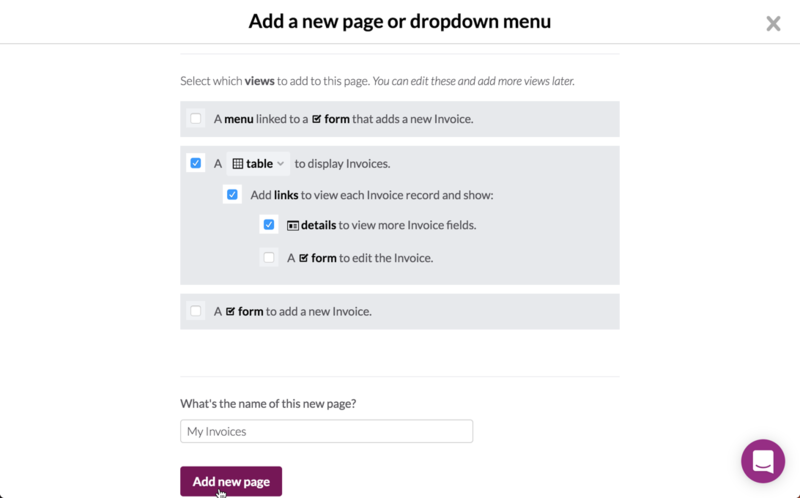 An example can be found in our Customer Payment Portal template app. 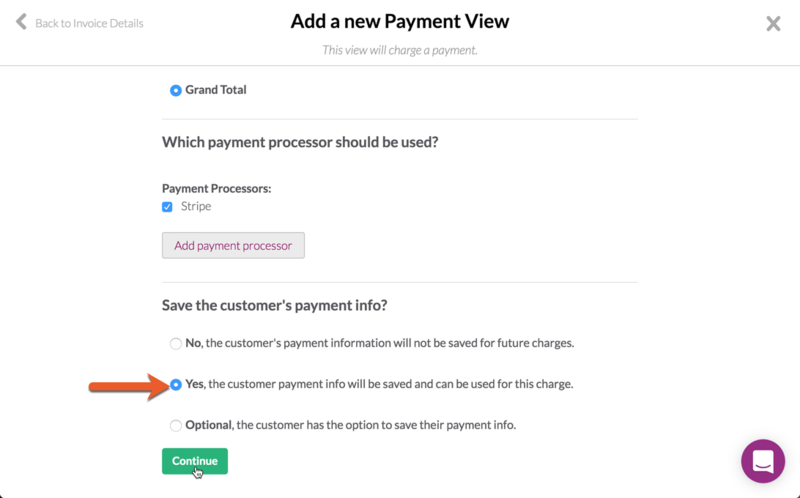 By the time you’re done with this guide you will have two new payment views that will charge a payment. 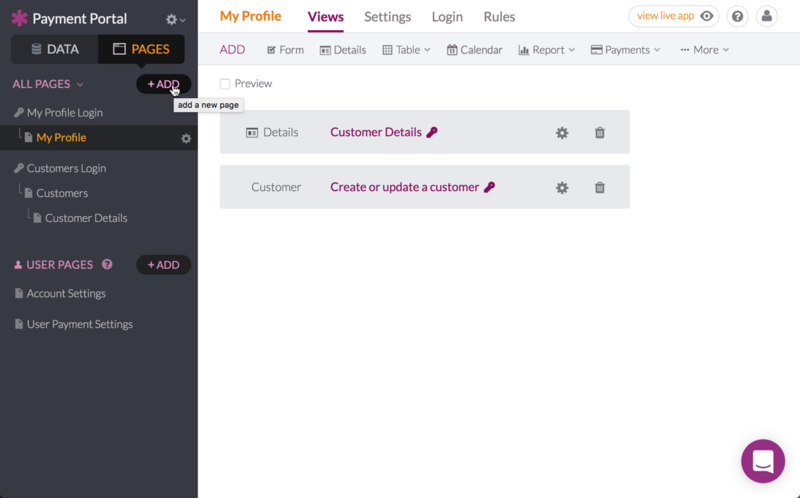 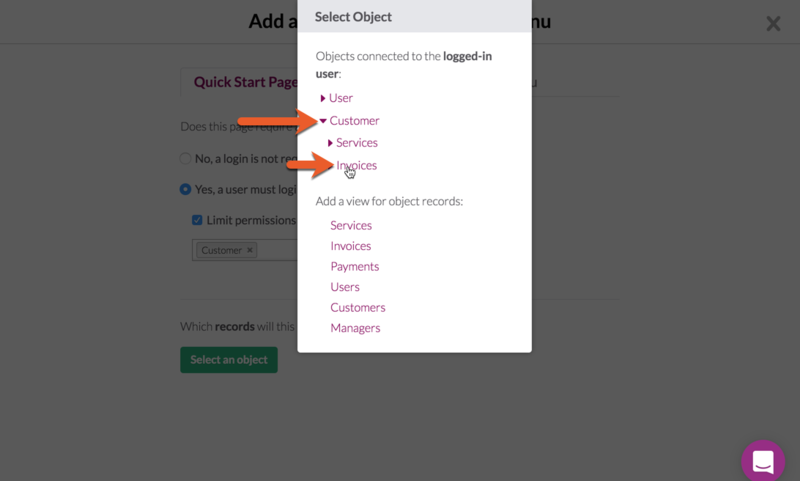 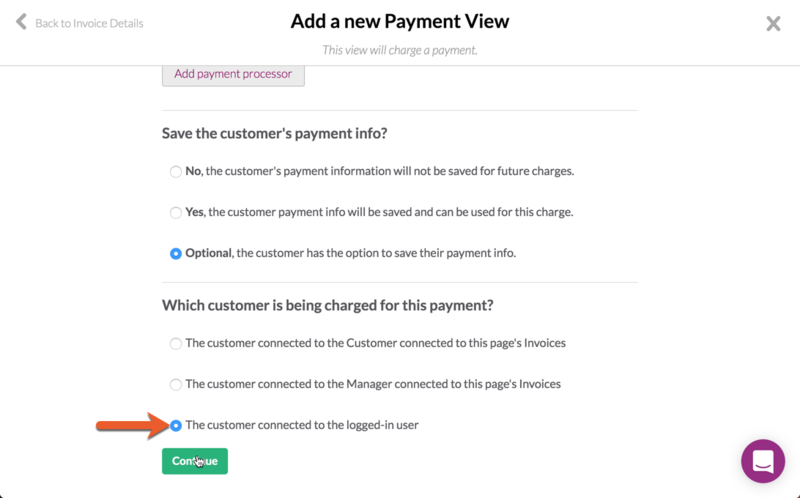 One payment view is set up for the logged-in Customer to make their own payment, and the other payment view is set up for a manager to charge the customer on their behalf. 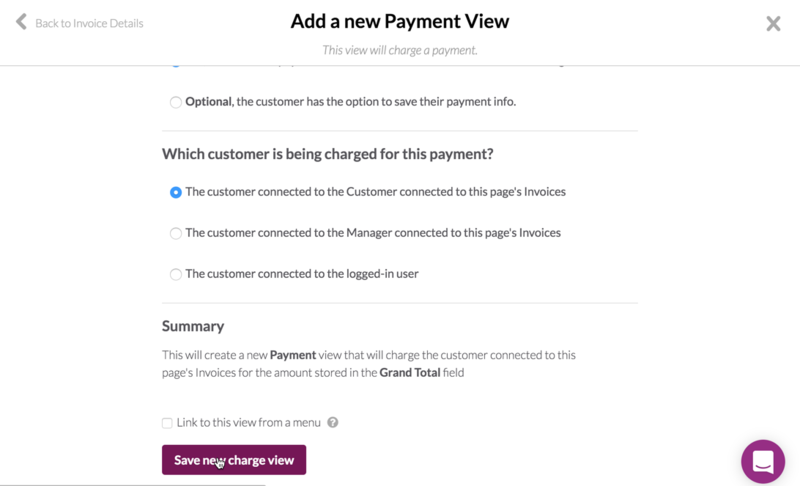 In order to charge a customer payment, Knack needs to know how much needs to be charged and which customer the payment is connected to. 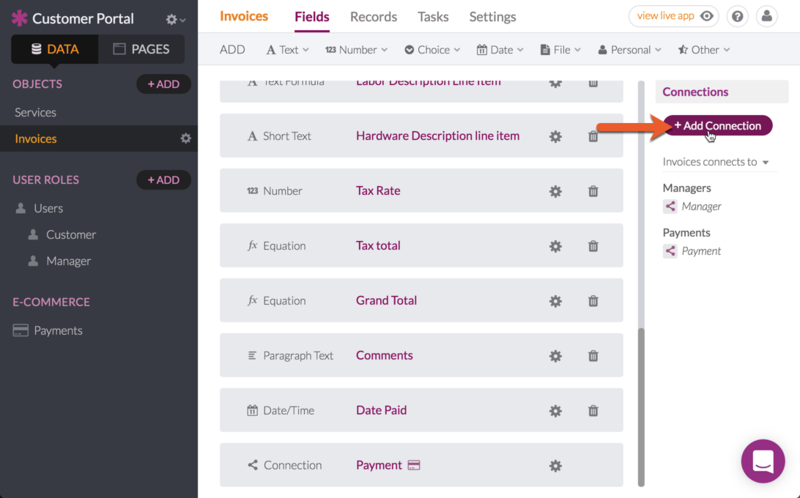 In this scenario we are going to use an "Invoices" object. 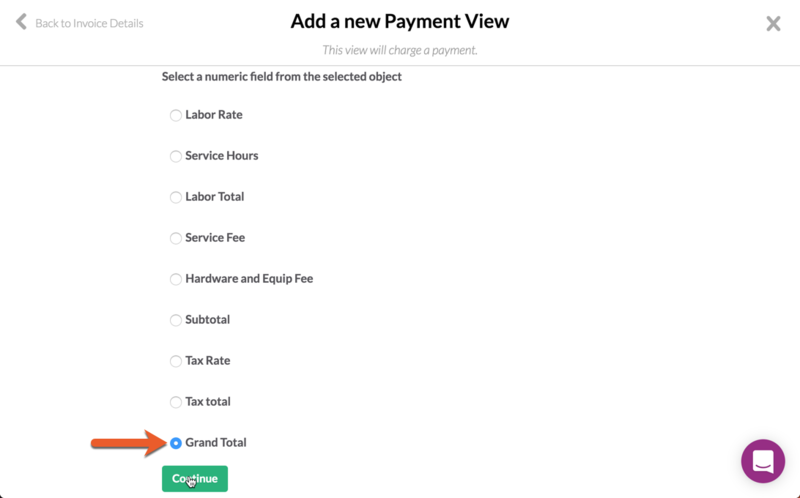 In order to determine the payment total, that value needs to be stored in a numeric field. 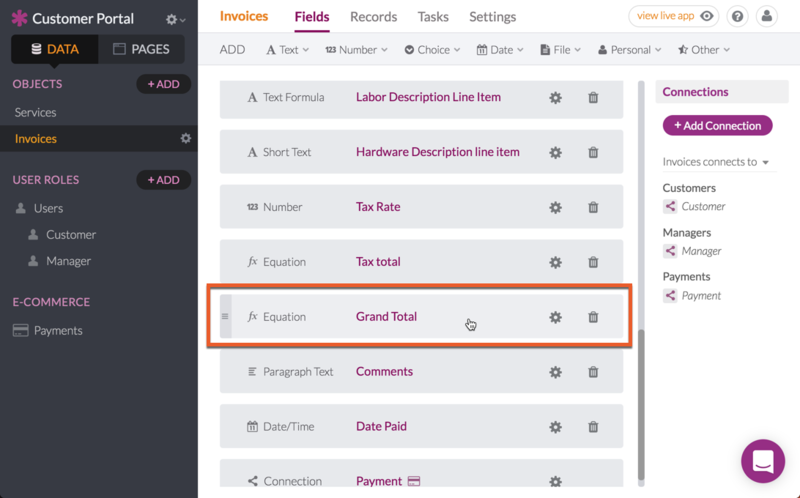 This can be as simple as a "Currency" field or it can involve more complex calculations with formulas and equations. 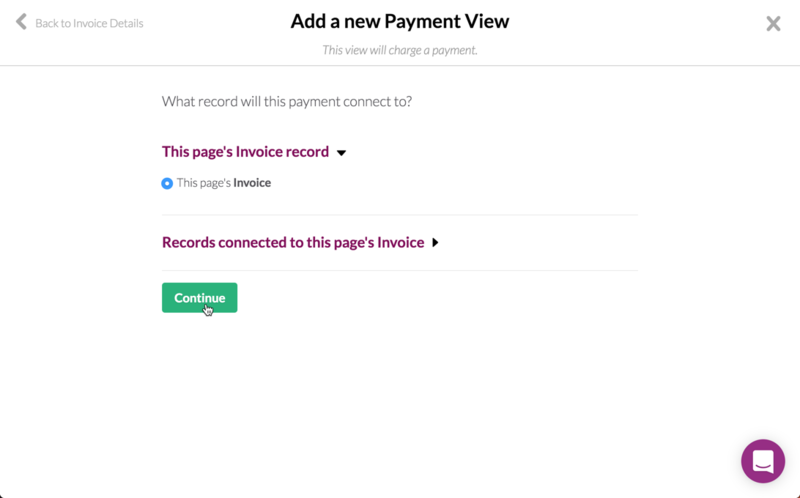 The first page we’re adding will be for the logged-in customer to make their own payments. 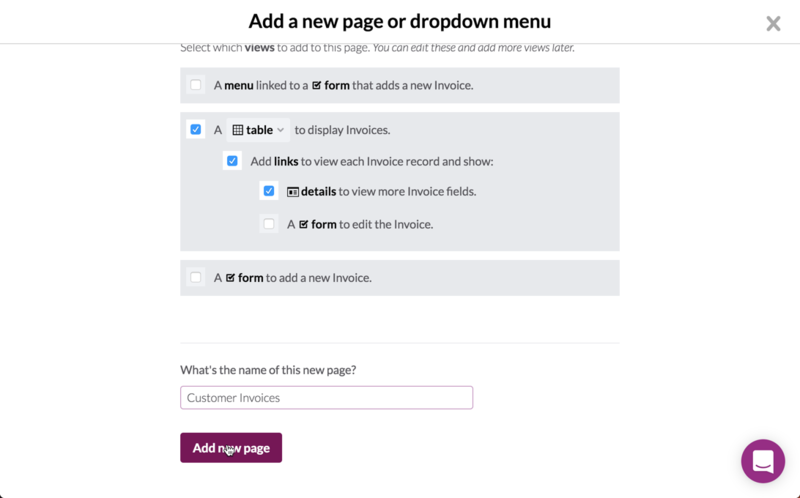 Now we’re going to repeat Step 2 except this time we’re adding a page for the manager to charge the invoice’s customer on their behalf. 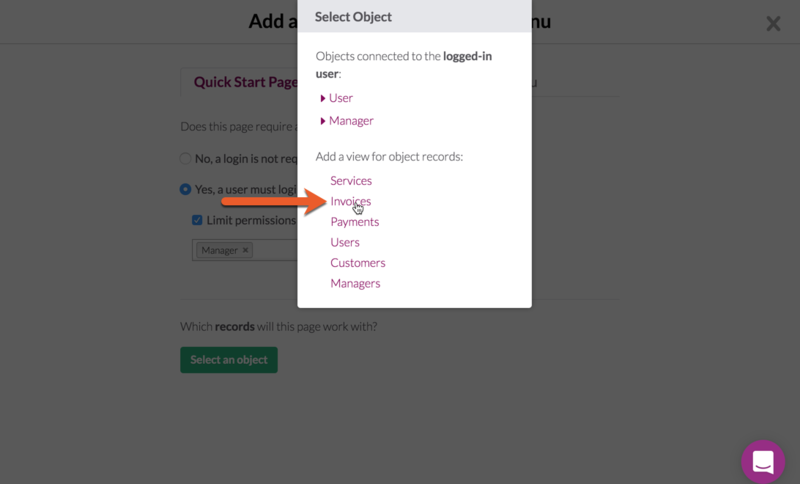 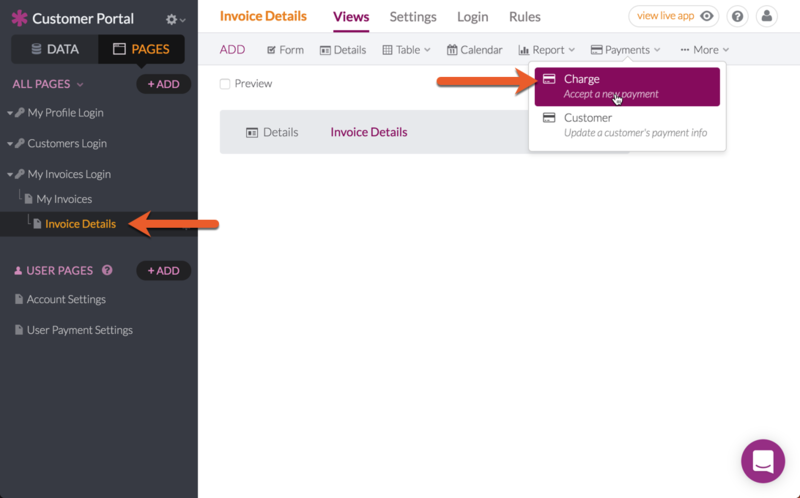 The manager’s page will always store / use the customer’s payment method. 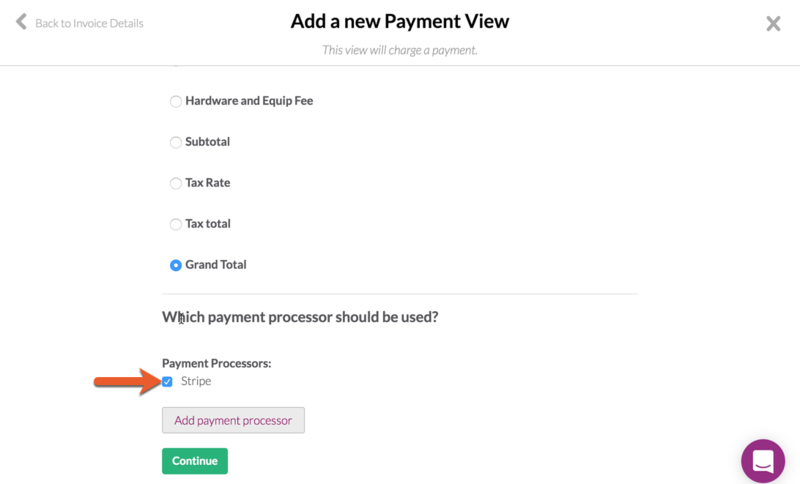 Once you save the payment view, you’re ready to test this out! 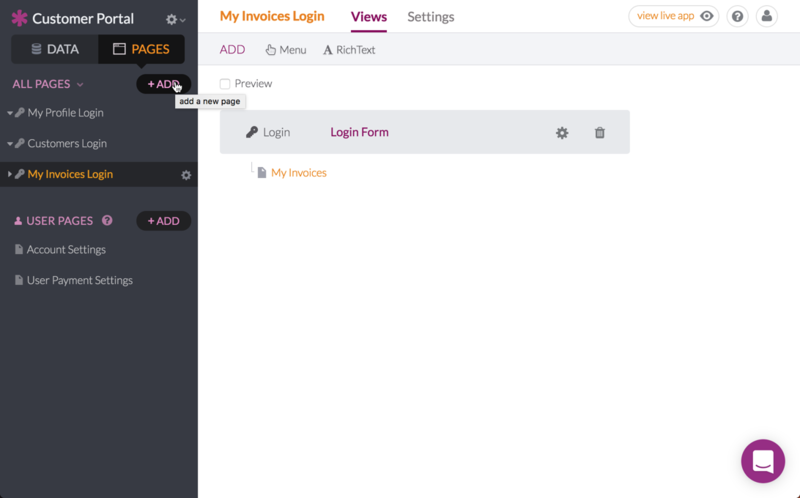 Payment views have lots of customization options, be sure to read our Builder Guide to learn more!